This year, we polled our certified health coaches for their top picks for wellness gift giving ideas. They gave us a list of great ideas to inspire and motivate or relax and unwind this holiday season. The Fitbit Versa Watch and Fitbit Charge3 are both solid and reliable options. The Steel line from Withings offers similar features with a more fashionable look. For a more sport-specific monitor, consider a tracker from Polar. With an increasing variety of options, price points, and features, there’s a perfect fitness tracker for nearly everyone. Recommended by Jaime Monsen in our Midlothian office, myofascial release simply means applying gentle, sustained pressure to connective tissue restrictions to eliminate pain and restore motion. Ahhhhhh. All sorts of tools and gadgets are available to help you release tension in key areas. Think foam rollers, muscle sticks and trigger point balls. Like the fitness trackers, there are tools and options for every budget and to find every pressure point. These tools are widely available in sporting goods stores and online. For specific recommendations and instructions on how best to use these tools, consult with your PartnerMD health coach. Unlimited health coaching is included in every membership at PartnerMD. Looking for a scale that will track more than just weight? A smart scale can also monitor your lean muscle mass, percentage of body fat, heart rate and more. Most will also send the results directly to your fitness tracker to keep all your data in one place. The folks at GeekWrapped have a great comparison of smart scales on their blog to help you choose the right make and model. Wireless technology is standard on new iPhones, but wireless earbuds are widely available and work with most any Bluetooth-enabled device. Many also include a built-in microphone, so you could take a call if you need to. For running, walking, and other activities, these are a welcome alternative to fumbling with cords. Simply put your phone in your pocket and go. Whether you’re on the treadmill or pumping iron, sometimes an audio distraction is just the right thing to keep you moving and motivated. Consider a gift subscription to Spotify to download music, create custom playlists, and listen without ads. You can even pre-load the account with personalized playlists your recipient will love. For the bibliophiles, a subscription to Audible delivers one audiobook and two Audible originals per month. And for great storytelling in short form, Stitcher Premium offers ad-free podcasts and exclusive content to subscribers. Pro tip: audio subscriptions are also great for stress relief. Physically getting away from it all can help you mentally step away from daily stress to relax and refresh. A wellness retreat is an opportunity for self-care and to focus on being good to you. It's as simple as giving yourself permission to take a day off. Indulge in 8 hours of fitness, mindfulness, healthy eating, nature and art with no electronic interruptions. If you can manage it, a weekend or full week away can combine adventure and wellness for maximum rejuvenation. PartnerMD members enjoy exclusive, additional upgrades on trips organizes by b.Restored. Download the brochure for the ultimate experience at Red Mountain Resort in the breathtaking canyons of southern Utah. Gift cards for wellness services, planning a retreat day, or arranging a wellness retreat vacation make for unforgettable gifts. Something simple, like a new outfit, socks and shoes, a fun piece of equipment, or an insulated water bottle can inspire and renew. For people who are new to or getting back to exercise, some new gear can help in feeling comfortable and prepared to get moving. For the regular gym-goers, a new piece of gear or outfit can feel fresh, stylish and motivating. A perennial favorite, gift certificates for wellness offer almost limitless variety. A few of our favorites include fitness classes (there’s always something new to try), stress relief with a spa or massage gift certificate, and less traditional wellness, such as cryotherapy or salt rooms. 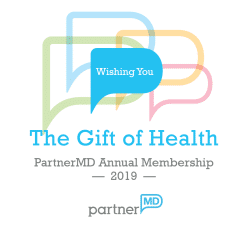 And of course, we always recommend a gift membership to PartnerMD and advanced physicals. 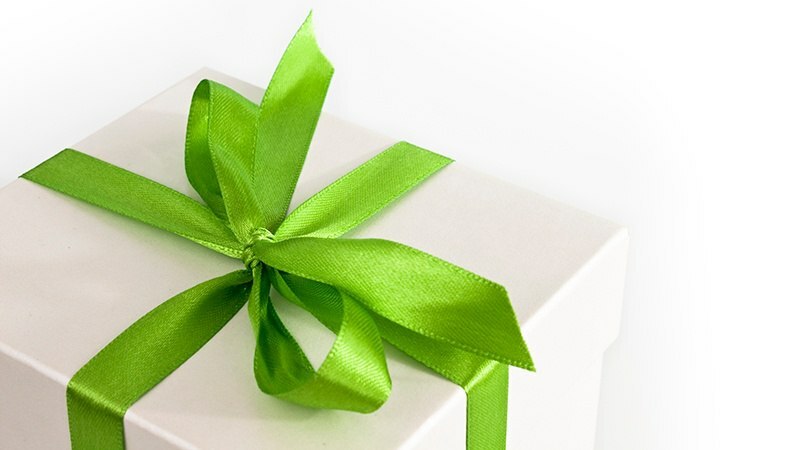 Give the gift of health and get peace of mind that your loved ones are receiving the most advanced and personal care. Through December 31, members receive incredible savings on gift memberships. Click here for details.